"But how do websites make money? How did you do this without knowing anything about building websites?" "Most of that make money online stuff has to be a scam right? Is what you do legal? I can't believe you were able to quit your day job!" "I'm not technically inclined and know little about websites. How difficult would it be for me to turn my hobby into a website that earns decent money?" "I've always dreamed of starting my own work from home business. 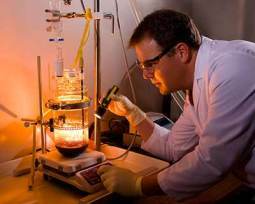 How do I get started doing what you do?" "I'd love to earn a hands-free income in my spare time helping others online! Can I really do this too? Will you show me how?" So, for all my skeptical family, friends, visitors, and former colleagues I created this guide explaining how most websites make money online. See the short videos below. I'll also tell you exactly how you too can earn hands-free income online by sharing your know-how or interests with people all over the world. I hope this answers a lot of the questions. Let me know if ever you need my help, or you can call the phone# at the bottom of this page and get answers from an expert for free. No. 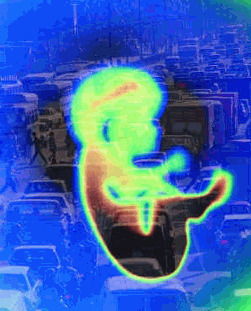 That's just old group-think, cliche assumptions born out of the vacuum of not knowing. In fact, most website owners earn hands-free income online in a completely legitimate and win/win fashion. The growth and usefulness of the internet depends on win/win. I'll enlighten you on how it works. Following are outlines of the 3 main ways most websites on the world wide web (including this one) are making money. Payments are earned for clicks visitors make on any Google ads which are automatically served to the owner's web pages via Google's free Adsense Program. See the short intro video lower down this page. Google's online advertising program is one of the biggest earners for them. Millions of businesses and websites also benefit from their ingenious ad system which efficiently brings consumers and sellers together on the web. There are two major halves to their brilliant ad system: "Adsense" and "Adwords". Adsense is for publishers (website owners like me). Adsense allows we webmasters to have pay per click ads automatically displayed by Google on our websites. Google does all the heavy lifting and we get paid if someone clicks one of the ads. More details below. The Adwords half enables advertisers to get their ads distributed automatically by Google's system onto many websites (such as this one) and along side search results. Customized targeting is the key to it all. The ads are relevant to the content they are displayed next to, whether on websites or in search results. Google coordinates it all and of course takes a cut as the administrator. But the website owner gets the biggest percentage. 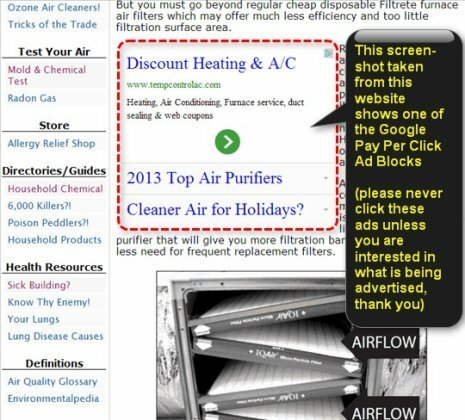 Below is a sceen-shot from a page on Home-Air-Purifier-Expert.com showing one of the Google Adsense pay per click ad blocks automatically served to my page by Google. Notice how the ads are related to this site's topic. Each page can have a maximum of three of these ad blocks, but I try to always keep ads to a minimum on each page. In my website page builder, I simply paste in a snippet of Google's ad code they supply. Ad block colors, sizes, ect. can be easily customized too. It takes about 30 seconds of work one time. Copy, then paste. That's it. 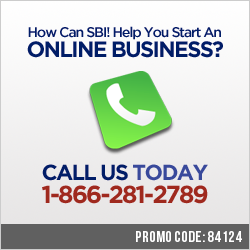 This is all very simple to do with the all-inclusive SBI system I use to research, host, and build my web pages. SBI does it all, includes it all, teaches it all. 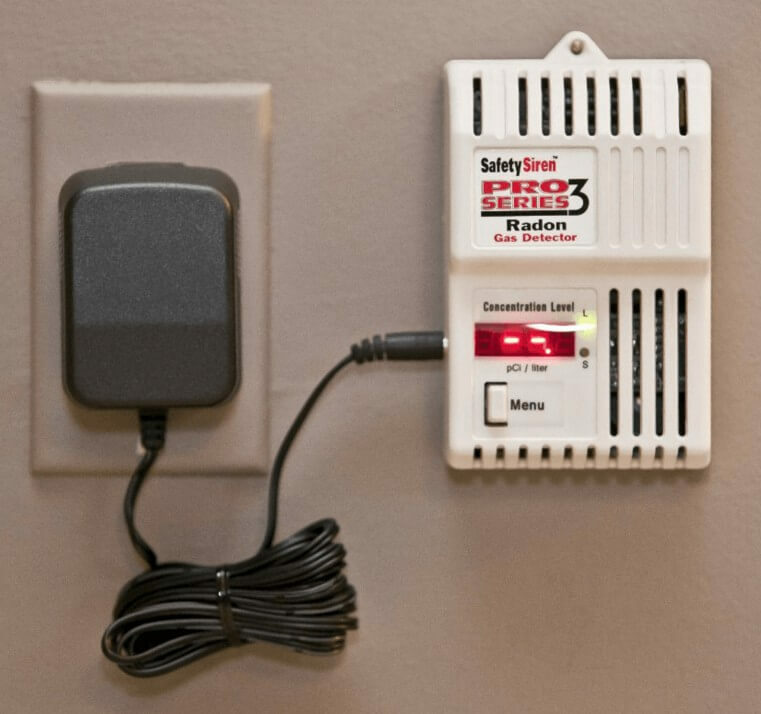 Watch this video tour to see how it all works. SBI is my secret weapon for online success and it's a perfect way to earn with Adsense and the below other methods for making money online based on your passions or knowledge. SBI makes it easy to set it and forget it, and scale it infinitely with never extra hosting fees. My overhead for running an SBI-powered website is very low - a fixed 82 cents per day. Unbelievably, there has never been a price increase since I began in 2005, and new and powerful functionality is always being added too. A major benefit of using SBI to build my websites + monetizing with Adsense is that no matter how many pages I add or how much traffic my site gets there are never extra costs. More content pages usually means more income since ad views often will increase. The unlimited hosting is rock solid and ultra secure and allows me to build unlimited pages and unlimited traffic without ever having to pay more. I've tried other hosts. They nickel and dime you to death for increased file storage and rising traffic and lots of things in between. And I have also found that outages and security hacks are common at most regular web hosts. But not at SBI. And regular web hosts don't supply any of the essential traffic or business building tools you get included in the cost of SBI. It's one of the best bargains I've ever found. And with an overhead of less than the cost of a cup of coffee, just a few clicks on a few Google ads can easily cover all my business expenses. The rest from this and several other monetization methods (outlined on this page) is all profit afterwards. Google's Adsense ads show up immediately on any live pages where the code is present. Google takes care of everything else. When someone clicks an ad I get paid. Clicks accumulate every day. Google tallies it all up, and I get an automatic deposit to my bank account every month. That's as hands-free as it gets! Your content keeps right on earning for you 24/7/365 no matter where you are or what you're doing. I've received nice and regular monthly checks from Google since I first started using Adsense in 2006. Earnings from Google alone went a long way toward helping me pay off the 30 year mortgage on my house 20 years early. 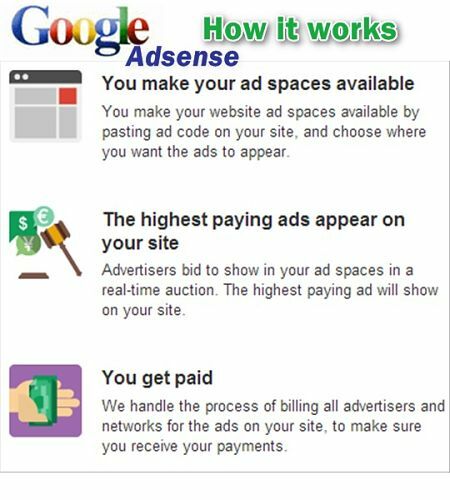 These steady Google Adsense checks (plus the other below described methods for making money online) also helped me retire at the age of 38 from my much hated unhealthy day job. More Content... More Visitors... More Earnings... With an Edge! Every time I add a new live page to my sites, it's like giving myself a raise because more content often eventually equals more visitors and ultimately more clicks on ads, ect. It can really snowball the more effort you put into adding high quality, unique content that helps people solve problems, or which provides entertainment, or which educates, informs, or pleases. The above mentioned SBI system I use also includes one of the world's most powerful Brain-Storming Software applications. It helps break it all down into a simple science. It's just one of many powerful tools included. BrainStormIt helps you find your perfect topic of interest, and then quickly provides an extensive list of all the specific things related to that topic people are looking for at the major search engines. BrainStormIt! also quantifies the demand, and analyzes the competition and supply...plus a whole lot more. It's a secret weapon within a secret weapon and a must-have if you want to successfully make lots of money online in a win/win way supplying the demand for information. There are literally billions of searched topics and problems just waiting to be solved or supplied. This is what the internet is all about. People connecting with and helping other people. Ad dollars often fuel the engine driving it all. Sit back and take the video tour to see the full view of how you too can get started today and free yourself with your own online business. What knowledge, or experience, or images, or recipes, or crafts, or gardening advice, or home-schooling tips, ect. can you offer online? It doesn't matter what you know. Chances are thousands of people are this very second typing related search terms into the 3 major search engines of Google, Bing, and Yahoo. If you build a website that successfully supplies the information people seek online...visitors will come. The search engines will send them. Visitors will click! This is a great win/win way to earn extra income online or maybe much more. Do the work one time, and your pages will just keep right on working for you. It sure beats being a wage slave, in my opinion. Anyone can do this. In fact, most owners of websites do have Adsense ads showing on their pages to one extent or another. If not Google Adsense, there are hundreds of other such programs which publishers use to serve paid ads to their websites. One example is Yahoo's Media.net ad program which is similar to Google's Adsense and which seems to be growing in popularity. It is also common for website owners to cut out the middle man and directly sell ad space to businesses interested in advertising related products or services on websites. 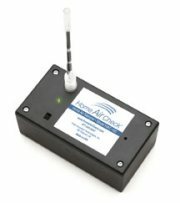 I accept direct sponsorship on Home-Air-Purifier-Expert.com and my other sites too. What Happens When a Google Adsense Ad is Clicked? When a Google ad (such as the example above) is clicked on by site visitors, the original advertiser (who advertises in order to hopefully grow sales of their goods or services to consumers) pays a per click fee to Google. Fees for clicks on ads are paid by the advertiser whether they make sales or not. Google keeps their cut, and then pays the lion's share of the fee paid by advertisers to the site owner where the clicked ad is shown. Last I checked I believe Google pays the site owner nearly 70%. These transactions happen millions of times per day across millions of websites globally. Amounts vary depending on many factors such as site topic and what advertisers are willing to pay to get clicks to the product pages. I've seen clicks worth pennies, quarters, dollars, and even tens of dollars! Either way, it can really add up nicely especially as traffic and number of clicks grows. There are also many variables affecting visitors' click rate (such as ad colors, positioning, traffic levels, and page topic). But clicks are often common since Google serves ads relevant to each page's topic or to visitors interests. As in the above screenshot, on this website you'll see "ads by Google" related to home air purifiers and other healthy home products. Google's free "Adsense for Publishers program", as it is officially called, automates all the details - from ad serving to automatic payments and click tracking. Click revenue can add up fast as you build more pages, get more traffic, and increase your ad views. This is by far the easiest way that anyone can create a completely hands-free income online. Millions of websites now have blocks of "ads by Google" showing in the page margins (top, bottom, sides). It's become a pretty standard method of defraying hosting fees, though you can do a lot better than just pay the bills. I know of many websites earning thousands of dollars per month just from Google Adsense clicks alone. I've also read about sites earning well into the five figures monthly too, just from Adsense. Adsense is one of the biggest earners for my sites too. Unfortunately, Google does not allow publishers to divulge earnings figures. Do You REALLY HATE Advertisements? I've noticed some people seem to have a deep and unrealistic disdain for any form of advertising. But, like with broadcast television, bills must be paid and ads can be helpful to consumers looking to buy. I have often found relevant ads to be helpful when I was shopping online or trying to find solutions to specific problems. Most websites are not charities, and operating at a loss is not a realistic expectation to make of site owners or any other type of business - online, or brick & mortar. It is also important to keep in mind that these win/win methods incentivize and make possible the rapid growth of free and useful content on the internet. Most of the benefits, enjoyed by hundreds of millions of people every day online, is made possible through ad dollars and the sales ultimately generated. Just consider the social networks alone. Millions of people seem almost addicted to sharing and connecting on sites like Facebook.com. No judgements here;^) But the point is, that "enjoyment" of most any website is made possible by some form of monetization, often sponsorship and ad revenue. Twitter, Pinterest, Facebook, Google+, LinkedIn, plus all the major retailers (such as Walmart.com and Amazon.com), and most content sites...are all funded to some extent by paid ads. The site owner can earn a percentage of sales that may result from their referral of retailers' products to visitors via special affiliate tracking links within the site owners' content pages. It's very similar to the offline concept of earning a "finder's fee" from a company for recommending their product or service to a friend of yours. My satellite provider mails special referral cards all the time, enticing word-of-mouth advertising by paying finders' fee on any referred sign-ups resulting from passing out those cards. The referral opportunities online are far more vast, and the concept can scale significantly with a high traffic website. 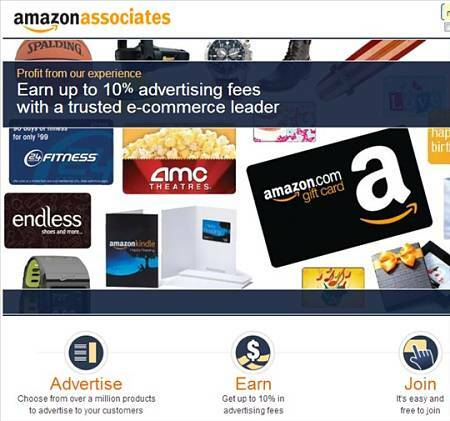 Amazon.com created the very first affiliate program many years ago, and now there are thousands of retailers with online affiliate programs. Affiliate Programs (aka Associate Programs) are also free to join and usually supply everything (such as graphic ads and tracking links) you need to start converting traffic into income online. They also handle all the details and most will pay you automatically. I also know of many websites earning thousands monthly solely from "Affiliate Marketing", as it's officially called. I earn good money this way too. In addition to Google ads, I also refer visitors to best of breed healthy home products on this website. I only recommend high quality products with evidence of effectiveness and which I would use myself. Affiliate programs are an important win/win part of keeping this website ever-growing with free helpful advice and resources. 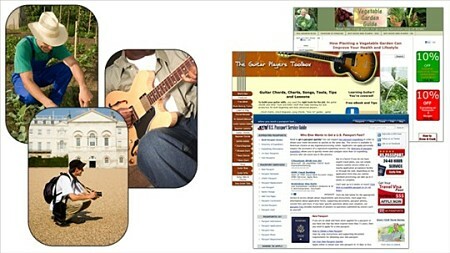 Traditonal EBAY-style selling involving monotonous "pic, pack, and ship" of hard-goods is the method many people falsely assume is required to earn money online. Often folks fret that a web business might involve them having to find a product to sell online and dealing with all the other hassles that go along with retailing physical merchandise. But as you can see by the first two methods, it is possible to have a profitable web business without ever selling a thing or dealing in any way with customers, payments, inventory, or shipping. You can do well just with the above outlined passive methods of pay per click ads, or by recommending others' products as an affiliate marketer. Direct selling requires a bit more work up front, and can be a bit more hands-on too. But it can also be much more lucrative for site owners who create and sell their own downloadable e-books, courses, or directly retail their own or others' physical products. Most serious web businesses naturally progress to more direct selling because of the improved profit margins. However, diversification is always wise. So on many established websites you will often see a mix of all three methods of monetizing at work. But anything downloadable (eGoods) can give you the best of both worlds (less hands on, yet with much higher profit margins). There are many webmasters currently making a nice living just from selling their Kindle e-books via online retailers such as Amazon.com and from their own websites. Partnering with Drop-shippers is another popular way to sell, with less fulfillment headaches, but often less margins too. If you have a service to offer, whether offered locally or globally, this can also be a great high profit margin product to sell or market via a content site. A website (in combination with my above secret weapon) is the best low overhead way to enable your customers to find you, rather than you having to spend lots of money on advertising to find them. Imagine a Yellow Pages Ad to the power of a thousand...yet at a fraction of the cost! The above three methods and variations on those themes are the primary answers to the question of "how do websites make money?" Would you like to get started today on building your own online business that may eventually allow you to free yourself too? 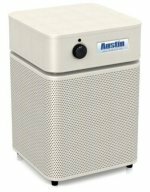 Following is a short video introducing the terrific all-in-one business building system I have been using successfully since starting Home Air Purifier Expert.com in the fall of 2005. In my experience as a happy repeat customer, I am sure this is THE best way for anyone to begin building an online business because it includes a proven step-by-step process in combination with all the essential tools and techniques. And it's a bargain too! Do You Have Any Questions About How You Can Start Your Own Website and Make Money Online With Your Know-How? I hope you found the above videos and insights helpful in answering the very popular question, "how do websites make money." Wishing you much success in all your own future online ventures.